There is an old North American tale of friends sitting by the campfire. Telling ghost stories at twilight made them jumpy. They became anxious as a faint humming sound grew closer and louder. Screams of horror about bites of a wild beast turned to embarrassment when the campers realized they were only being swarmed by mosquitoes. Hoping to foil the mosquitoes, the friends put out their fire, huddling as complete darkness fell. Imagine their dismay when the mosquitoes came back with flashlights! In case you didn’t guess, the second attack was fireflies! Hopefulness wouldn’t help with the itching, but it might help your nerves at times like that. Here we sit, my friends, around the campfire. We’ve told some stories. We hear our share of humming. Most of us are scratching. 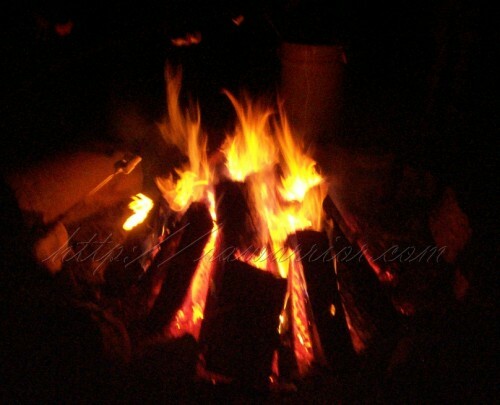 Are you ever tempted to put out the campfire & huddle in the darkness? Sometimes it seems like everything goes wrong at once. RA can bring a swarm of trouble. I’ve watched strong hopeful warriors be brought low by this disease. I’m no different. Lots of things are running low. Roo runs out of underwear since I can’t get the laundry done. Don’t worry, we bought more. I’ve run out of hands to hold the phone with or fingers to type with. Oh the elbows with the phone! There are no more parts of me left to help me stand up when my knees or my hips need help. I’ve run out of shoes I can get on. I’m thinking I’m also running out of options for treating this RA. I’m hoping not to run out of hope. 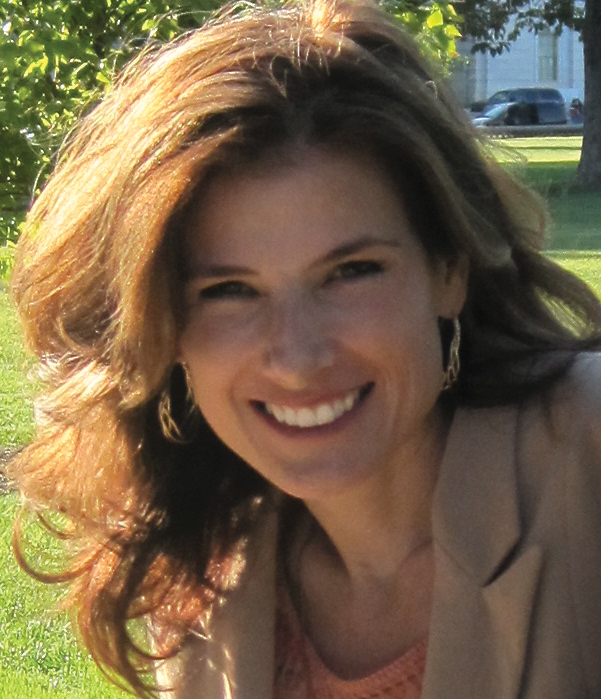 One of my very first blogs was about hope for Rheumatoid Arthritis. I realize how valuable it is. Noticing my hope tank running low, I remembered what I wrote: Hope is not just something you can have, it’s something you can do. I am the *sponsor. Details on the disclaimer page. Central Florida was originally called Mosquito County. Don’t miss the mosquito on the Bulletin Board. Wow, Kelly, God is so amazing! Today I woke feeling that hopelessness-just plain tired of dealing, you know. Then you post this article and I am again reminded that my Heavenly Father hasn’t left me and hanging on to me and so there is hope. Thank you so much for your ministry. I pray you have a good day. I know is doesn’t help the pain go away but please know you have brought sunshine and hope back into my day. Thank you so much. Kelly, what a really really nice post. Thanks for reminding me that we can’t give up hope, even on the really bad days. You are the best and always find the right words. Thanks Kelly for the reminder. I can’t help but be reminded about your posting last summer about Robert E Lee’s mother and wife. Our lives are so much more different than theirs. Even the most seriously effected patients still enjoy the comfort of AC, and newly developed medicines. Hopefully someday, folks will look back even at our life time and ponder the changes and improvements over the years. Yes hope is a wonderful thing and keeps us going evey day! I LOVE, LOVE, LOVE TOBYMAC, I LISTEN TO HIS TONIGHT ALBUM ALL THE TIME, IT DOES GIVE ME HOPE, ALSO IF YOU WANT, THERE ARE 3 OTHER REALLY GOOD INSPIRATIONAL ALBUMS I LOVE, “KARI JOBE”–“2009”, “SANCTUS REAL”–“PEICES OF A REAL HEART”, “WONDER”–“AMONG THE THIRSTY”. THESE CD’S ARE GREAT CHRISTIAN CD’S! I LOVE THEM, LISTEN TO THEM EVERY DAY! hOPE EVERYONE HAS A GREAT WEEK AND SOFFT HUGS TO YOU! Thanks for the suggestions! I’m going to ck out the ones I don’t already have. Even my 5 yr old is a huge Tobymac fan! Toby is so creative. I’m a little short on hope today. Last visit to doctor, the x-rays show erosion in my left hand so she is starting me on Enbrel. After confusing process of approving through my insurance, the package of shots arrived today. I’m scared. Not just about giving myself a shot, but about maybe being allergic, or of it not working and me being crippled. VBS is this week and I am the crafts director. It has been very hard to do the crafts each night and I’m worried I won’t be able to next year. Next week we fly out to Seattle area to visit my husbands’ family. They are all very active people that like to hike and do all kinds of outside stuff. This is my first visit since the RA. I’m so different from 2 years ago. Sorry, I guess I’m having a pitty party today. It upsets my husband for me to talk about this stuff so I try to put on a brave front with him. I know all of you understand and I just needed someone to talk to. Thank you. The medicine will probably be a great help to you. I personally am allergic to Enbrel and it still did not hurt me! It is the most common Biologic & very few people react badly to it. I know about the in-laws too. Can you find a post on this site w/ a bunch of comments from others who are experiencing the same as you and EMail it to them? Maybe even send them another one in a couple of days. That will prepare them some. People have told me that helps. If you need a suggestion of a post, I can help you find some. Becky, this does NOT sound like pity at all. These are all real issues that we are dealing with. Let me know how to help & I’ll be glad to do what I can. Are you taking methotrexate? That is one of the best ways to prevent your body from making antibodies against the Enbrel (gradually becoming “allergic” ) . Thank you Kelly. Yes, I do take methotrexate and diclofanac. I’m taking the shot this morning. That’s a good idea about sending the in-laws some of these posts on here. Thank you also for the songs. They really help. The song lyrics say “you’re a light in this jaded world”. That is you, Kelly and the fellow RA warriors. Thanks for the encouraging and well-timed words. I don’t know how I would face each day without Christian music and your website. Today I am trying to make a decision about treating osteoporosis on top of the RA. That is another controversial decision. I feel the osteoporosis is a result of 12 years without a diagnosis and I pray my family physician will at least acknowledge that rather than blame other things when I meet with her. Thanks for all you do. Kay, I’m sorry there’s one more thing. I have not begun that treatment either. My gp said he’d give me one year w/out it & that was last year. Do you think yours will not acknowledge RA did this to you because she was she should have helped you find a dx sooner? Listening to another Tobymac tune right now. Got you the link. That whole album is full of words of hope. Thanks for the link-another great song. I had heard it but not to listen carefully to the lyrics. I don’t know if my gp thinks she let me down or still doesn’t believe there is such a thing as sero-negative. Given the opportunity I intend to ask her. When I told her how much MTX is helping me she asked if my husband thought I was doing better as if my word wasn’t enough. Just one of those things we deal with in being misunderstood. That is one of the many reasons I love your site-being understood. Kay, shaking my head w/you as I know exactly what you mean. have a good weekend. It’s my first time posting a response on your site. This post is like God’s timing. I’m a fellow RAer and I go through most of what you and the others go through; today is one of my most challenging days and I am so grateful for your encouraging words. Please keep on doing what you do. There are so many persons you are touching the way most of us can’t. May God bless you always. Many times I run low on hope its your web site thats the encouragement for me. I understand about giving and giving till there isn’t much left, so what r u gonna do for a refill? Need help around the house? Or a shopper? Your right, medical science seems behind our medical need…again. Our bodies maybe losing this fight, but we can still out smart it. 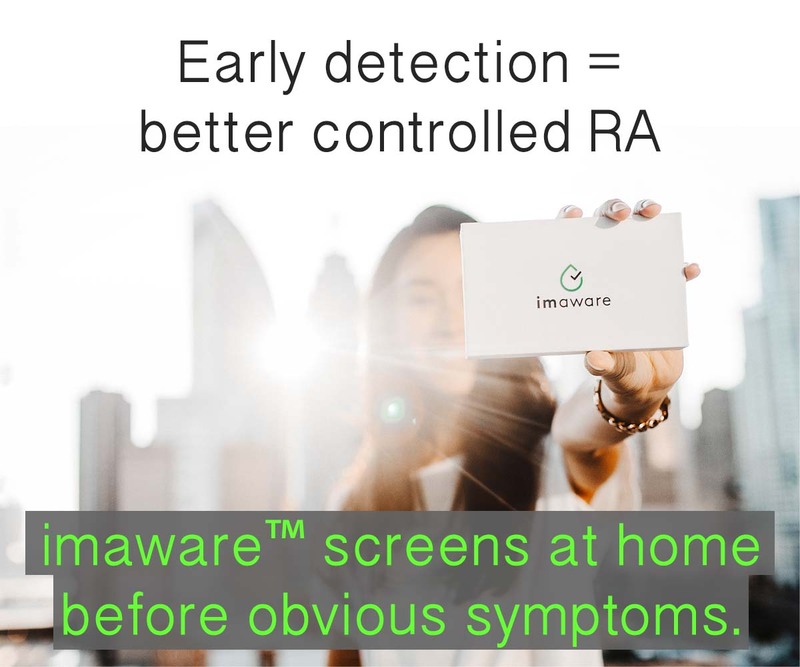 We can move forward, I’m sure people 20 years ago didn’t talk about RA like we do now on these web pages, its because of the work you have done, u created a tool for us to connect and its medically sound info. Connecting moves us forward. I know I may not be able to hang on another 20 years but my children and grandchildren will see a cure, we can hope for that! So look at what work u have done & where it will take all of us 20 years from now. Wow now I’m hyped! Thanks Kelly! My hope tank has been running low the last few days. Thank you for this blog at the perfect time!! Listened to the song and have a new favorite artist on my christian list!!! Thank you Kelly for all you do!!! I’m sorry to hear it Jamie. I know you have a lot going on & can’t imagine it all. I’ve been listening to that album non stop – it does help some. This summer I kept saying, winter will be better. It’s almost winter here and I must of realized last might that it won;t be better. I’m into year three with no relief Desperation just sets in and overwhelms me. This song came just in time. Thanks Kelly. Rachel, those seasons / years of no change (except maybe worse) can really get to us eventually. It helps to know we aren’t alone. Listened to this song several times today myself. Hang in there. Susan, I’m so sorry you had to deal w/ a lack of understanding. I hope the shot helps! Nikki, I so agree. Those are the days that RA is winning: the days when my “hope” tank is running on empty. 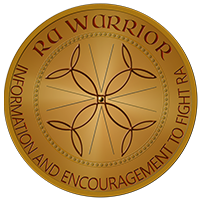 It’s so important to me to keep my hope replenished and it has been so helpful to have all the support, from my RAWarrior family, available on a constant basis. THANK YOU!!! I really needed this HOPE today!!! My Hope is very low at the moment i am so tired of trying to keep going as i live on my own and have know one to talk 2 , have my rheumy app 2 more . Have to go by public transport start at 7 am god knows what time i will get home at. This site is a life saver to me , also the 1 on face book. Thanks Kelly. You give us all hope . Dearest Kelly, There are no words to tell you how much I needed to read this article today, and as I only discovered your website in Summer 2011, not even a year ago, I had not read your first blog on “Hope” from 2010 so I got to read that too! I was hospitalized last July/Aug after becoming dehydrated from 3 wks. of diarrhea, diagnosed with colitis per path reports from biopsies during colonoscopy. Have been in horrible flare of of the colitis for 2 wks., been on a 40mg. prednisone burst or 4 days now. Maybe tiny bit better, barely avoiding dehydration, thus ER. Been really down and running low on hope. Seems sometimes I (we) just can’t catch a break. I could not tell you how much this post helped me today. I have been in a lot of pain but remembering my favorite old group “Out of the Grey” was so helpful to keeping me up. Nice to know someone else shares some of the same pain and music ! I try to sing with my hoarse voice those songs that remind me there is more to this life then pain and suffering. Somehow I will make it if I just keep hanging on.